Sarah Combs is an ordained minister in the Christian Church (Disciples of Christ). A lifelong Disciple, she grew up as an active member of FCC Edmond, thoroughly enjoying the fun and fellowship of our region’s camp programs. After receiving her Bachelor of Arts in sociology and religion from Texas Christian University in 2007, she received her Masters of Divinity degree from Vanderbilt Divinity School in Nashville. While in school, Sarah served as a ministerial intern at Western Oaks Christian Church in Oklahoma City and later at Vine Street Christian Church in Nashville, TN. She leaves her current role as a volunteer youth minister at Edmond Trinity Christian Church to accept this call to ministry with Southern Hills. 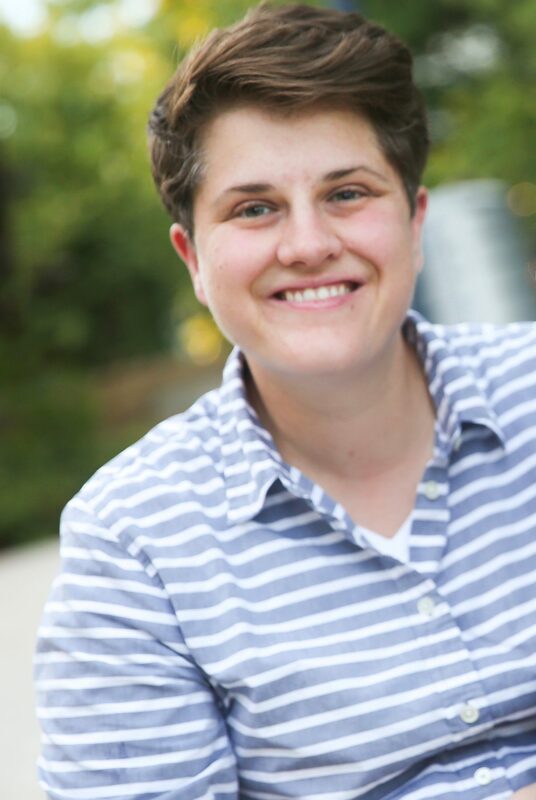 Sarah is also finishing her final year of service to the council of the Disciples LGBTQ+ Alliance (AllianceQ). Sarah also works in higher education administration doing institutional assessment for the University of Central Oklahoma. She lives with her wife, Lauren, who she first met at 3rd grade Discovery Camp. They have two sons, Emerson (4 in March) and Everett (2 in March), and a sweet 100 lb lab lap dog named Eleanor (after Eleanor Roosevelt, of course). In her spare time, Sarah enjoys hiking and travel.